The new Diablo Grande SRL from Guardian Fall Protection features a 33’ galvanized cable lifeline, ergonomic handle, and swivel steel indicating snap hook. It is available in a standard model, or in a leading edge (LE) model, which includes nylon coating for the lifeline and an integrated shock absorber. 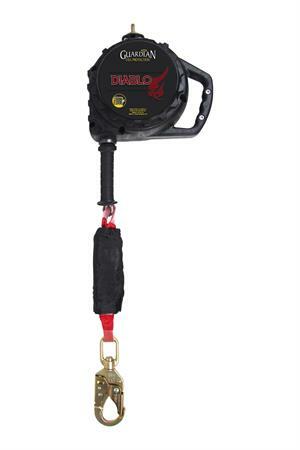 Lightweight and extremely durable, the Diablo Grande is well-suited for a variety of fall protection applications. Worker Capacity Range 130-420 lbs.